Understanding the world’s most dangerous sport, helped me overcome my limitations and dive deeper without fear. Being underwater is very peaceful, and freediving is like no other experience on Earth. 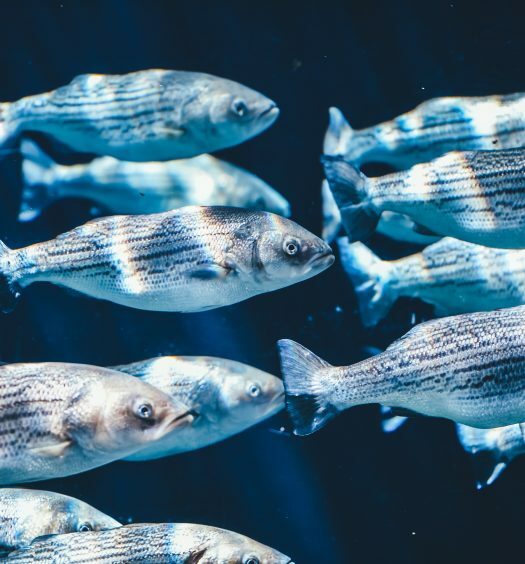 Without oxygen tanks to hinder your movement, you are one with the fish. And for many freedivers, it is a transcendental experience. But if you are stressed and anxious, it is virtually impossible to hold your breath for very long because the urge to breathe becomes overwhelming. Understanding the world’s most dangerous sport, helped me overcome my limitations and dive deeper without fear. ‘Flow’ is the state of mind whereby you are completely focused and motivated to perform your task. The mind and body are intrinsically linked and, in order to dive successfully, freedivers have to train their minds to achieve a Zen-like state of ‘flow’. Stress is the antithesis of diving. The moment a diver starts to feel anxious or stressed about their forthcoming dive, breathing speeds up and the body begins to exhibit familiar stress responses, none of which are conducive to being underwater. The only way to counteract the stress response is to learn how to control it. Many freedivers use yoga and meditation to vanquish negative thoughts and get into a highly focussed state of mind before a dive. Of course, these are not the only methods you can use, and it is really up to you to decide what works best for you. As counterintuitive as it may be to many people, man can actually spend several minutes under the water quite easily with the aid of training. From the moment we are immersed in the water, a number of physiological changes take place. This is an instinctive process that you don’t even have to think about it, much like breathing. It is also one of the reasons that freedivers are able to spend long periods of time underwater without any kind of breathing apparatus. Through careful training, they can take advantage of the body’s natural response to being underwater, which is known as the mammalian dive reflex. 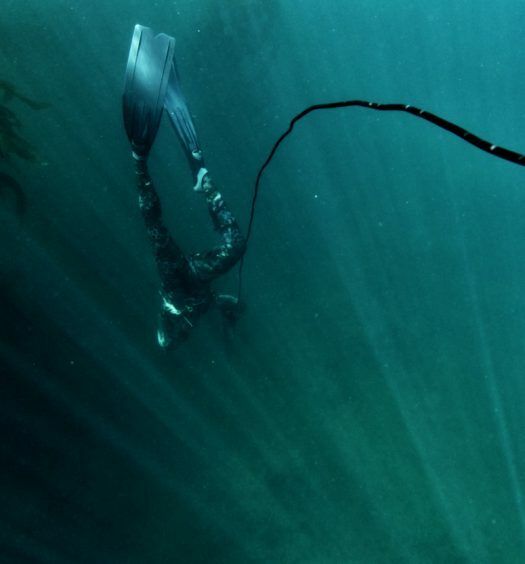 One of the biggest dangers for freedivers is that they are at risk of blackouts. This is why you should never practice holding your breath underwater or freediving alone. The most dangerous part of a freedive is during the final stages of the ascent back to the surface. By this point, the diver is very low on oxygen, which causes the lungs to expand and draw out more gas from the blood. If this includes the last remaining vestiges of oxygen, the brain goes into survival mode and shuts down to conserve what is left. If this happens, hopefully your dive partner is there to rescue you and bring you to the surface, at which point reflexive breathing kicks in and everything is fine once again. Understanding the psychology and physiology of freediving is very important if you want to achieve your potential. 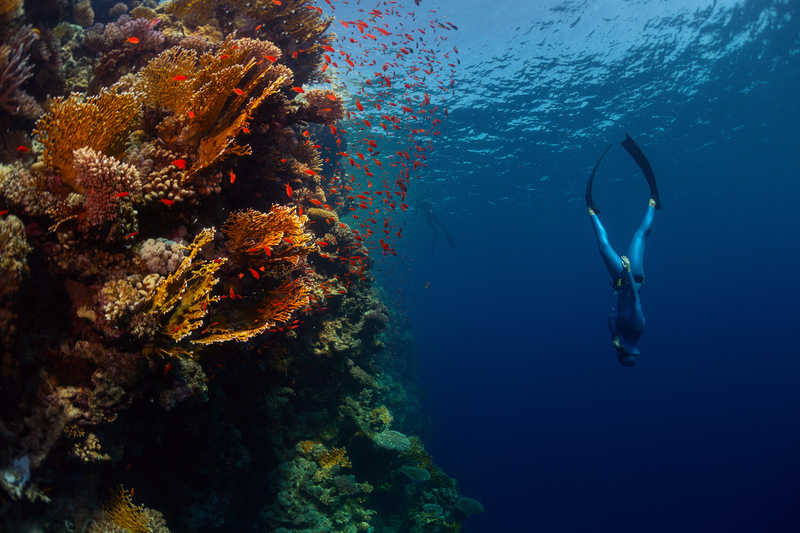 If you can control your body’s natural responses to being underwater, the dive will be effortless. Mastering freediving opens up a world of experiences that few adventures experience, including spearfishing – for which you will need a speargun and fins specifically for freediving or spearfishing.